Filing your taxes at H&R Block's online portal reduces the stress of filling out a paper form and includes the option to have your tax return deposited directly into your account. 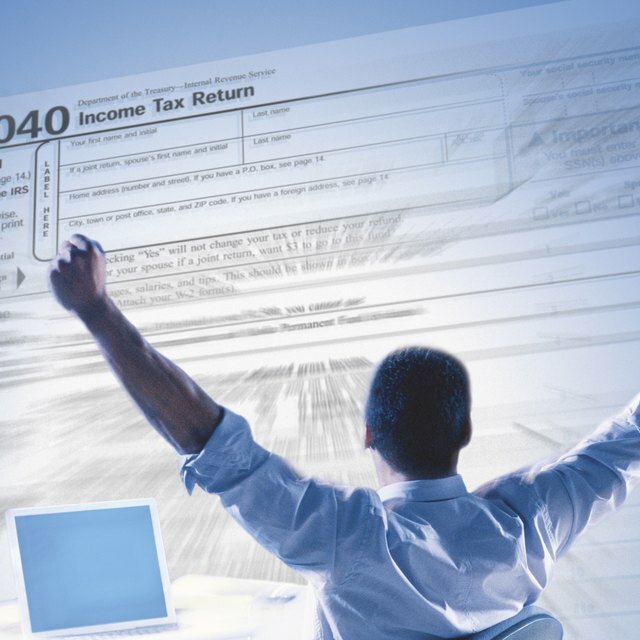 This process is called electronic filing, or e-filing, and is the fastest way to get your tax refund and avoid the hassle of mailing your taxes on time, according to the IRS. According to H&R Block, your refund is deposited into your checking or savings account within eight to 15 days after the IRS receives your e-file. If your refund is not in your account after 15 days, contact H&R Block to determine the reason for the delay. Call the toll-free H&R Block number at 1-800-472-5625. Press "0" to speak to an H&R Block representative. Tell the representative your full name along with your email address, phone number and e-file confirmation number, located in the email message from H&R Block. How Long Does it Take for the IRS to Deposit Your Refund When You E-File? You can also click the "Check e-file status" in the H&R Block email message to determine if your filed taxes were accepted by the IRS.